Anesthesia groups continue to be presented with opportunities to participate in hospital co-management arrangements. These arrangements are one way that hospitals and physicians can align in order to improve the quality and efficiency of care provided through one or more hospital service lines. By achieving such objectives, participating hospitals and physicians are likely to receive more favorable third-party payer reimbursement and to become more competitive. Each hospital co-management arrangement is unique, but they usually share certain commonalities. Hospital co-management arrangements generally involve a hospital partnering with physicians to improve the performance of one or more hospital service lines. Such partnerships are often structured as a joint venture through either the establishment of a separate legal entity or direct contracts with certain physicians. The arrangements allow physicians to take an active role in addressing the operational challenges that serve as roadblocks to improving the quality and efficiency of services provided. The arrangements focus not only on specific tasks to address operational issues, but also include financial incentives for achieving specific performance-based objectives with respect to the relevant service lines. The emphasis is on achieving real and measurable progress, which is then rewarded, directly or indirectly, in the form of increased reimbursement from third-party payers. The underlying goals of hospital co-management arrangements are aligned with those of other quality initiatives. More specifically of interest to anesthesia providers, the underlying objectives of a hospital co-management arrangement are the same as the underlying objectives of the interdisciplinary perioperative surgical home (PSH) championed by the ASA. These objectives—better health, better healthcare and reduced healthcare expenditures—are, in turn, the same goals of the triple aim for healthcare put forth by the Institute for Healthcare Improvement. Accordingly, hospital co-management arrangements are sometimes adopted by hospitals as a tool for achieving and advancing the PSH. The two concepts go hand in hand. That being said, numerous other types of popular alignment structures can be used to achieve similar objectives, such as clinically integrated networks and accountable care organizations. Hospital co-management arrangements have the potential to significantly benefit hospitals, physicians and patients—and that’s exciting. When successful, co-management arrangements facilitate cooperation among hospitals and physicians to improve the services provided to patients. As a result, the hospitals and the physicians are better positioned for success under the evolving healthcare payment regime, which focuses on paying for the value of services provided instead of volume alone. Co-management arrangements also can help to build trust between the hospital and its medical staff, improve morale and facilitate teamwork. This is especially true with respect to those hospitals that are faced with a toxic hospital versus physician dynamic. Through hospital co-management arrangements, physicians and administrators are required to sit down at a table and work together to achieve common and mutually beneficial goals. When there is a sincere commitment and good faith buy-in from all involved, co-management arrangements sometimes open and change the historical dialogue between physicians and hospitals. When co-management arrangements are successful, the improved coordination and collaboration results in better care and better outcomes. Hospital co-management arrangements vary in scope and complexity. Some hospital co-management arrangements focus on a single service line (e.g., anesthesia alone) but many focus on more than one service line (e.g., anesthesia and all surgical services at a hospital). Some hospitals have adopted single service line co-management arrangements as an initial step of a multi-phased approach to eventually adopt co-management arrangements that cover multiple service lines, an entire hospital or even to serve as the basis for a clinically integrated network. 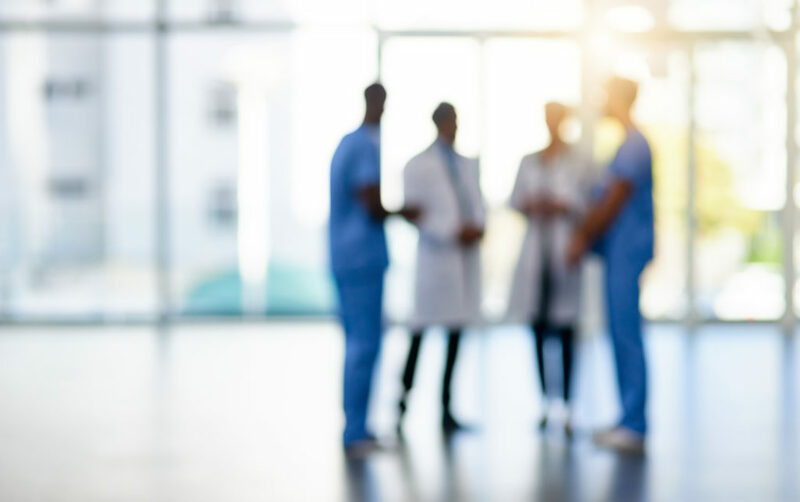 As the scope of the arrangement expands, so does the required collaboration among the hospital and its physicians, the potential positive impact of the arrangement and the potential compensation available to participating physicians. Those entering co-management arrangements should be aware of applicable healthcare regulatory constraints. Hospital co-management arrangements need to be carefully structured in accordance with state and federal healthcare regulations. More specifically, similar to other relationships between hospitals and their physicians, hospital co-management arrangements need to be reviewed under the Federal Anti-Kickback Law, Stark Law, Civil Monetary Penalty Laws, tax exempt laws and parallel state laws. Although a discussion of these laws is beyond the scope of this article, note that the analysis of any co-management arrangement under these requirements is nuanced and governed by numerous statutes, regulations and pieces of governmental guidance. Anesthesia groups should consult with their attorneys to understand the legal risks related to any proposed co-management arrangement. Physicians may receive significant compensation from their involvement with successful hospital co-management arrangements. Payments to physicians under a hospital co-management arrangement often include two types of fees: base fees and incentive fees. Permissible payment structures may take the form of hourly compensation for attending committee meetings, developing policies and procedures, or providing other management or administrative services. They may also include incentive bonus compensation or profit distributions that result from achieving certain pre-defined and objective quality, satisfaction and efficiency benchmarks. For those co-management arrangements that include joint venture entities and require physicians to make a capital contribution, the physicians may be required to assume a degree of financial risk. Such physicians may enjoy the upside (but also the downside) of such investment through their capital contributions and profit distributions (if any). The financial relationships between hospitals and physicians in co-management arrangements need to be carefully structured. The compensation paid to physicians under any co-management arrangement must be within the range of fair market value, may not be influenced by the value or volume of referrals that they provide to the hospital or their political influence in the organization, and must be commercially reasonable. Performance standards should be based upon objective and evidence-based measures that are appropriate for the hospital. Any hospital that is a party to such an arrangement should engage an independent, qualified and experienced healthcare valuation consultant to provide guidance and an opinion, in close consultation with the hospital’s attorneys, regarding each of these requirements. Physicians who participate in co-management arrangements should ask questions about such valuation and the care that has been taken by the hospital to ensure that such financial relationships would withstand governmental scrutiny under state and federal healthcare regulations. No physician should enter a hospital co-management arrangement until the physician has had such arrangement reviewed on their behalf from a legal perspective. It would be inadvisable for physicians to blindly trust the hospital attorneys to ensure that the arrangement is compliant. Most healthcare attorneys are able to share horror stories of problems that have arisen when a physician relied on the hospital attorney and the hospital attorney made a mistake. Physicians who become involved in a co-management arrangement by taking an equity interest in a joint venture entity that will manage one or more service lines, or by entering an administrative services agreement, need to work with their own attorney to review the arrangement and ensure that they are legally protected from a corporate, contract and health law perspective. The attorney needs to review the arrangement from a regulatory perspective under the laws mentioned above. Further, an attorney should review the governing documents and provide guidance to the physician about any usual provisions that the physician may not expect, such as non-competes or other restrictions that may survive after a physician leaves such arrangement. The physician attorney should also consider the interaction between the co-management arrangement agreements and other direct or indirect agreements between the physician and the hospital.